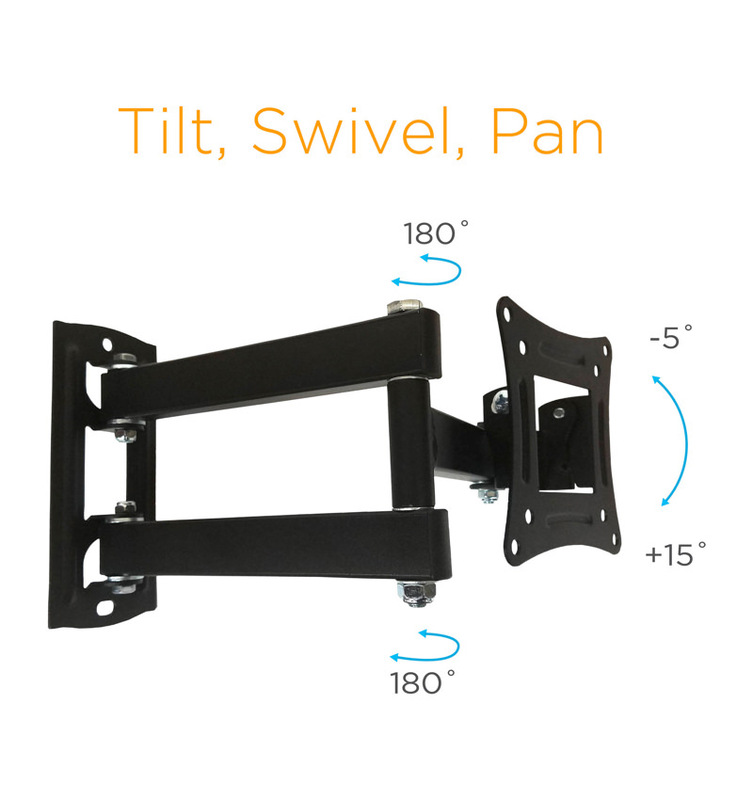 The Ematic Full-Motion TV wall mount kit safely mounts your 10″ to 27″ TV to your wall. 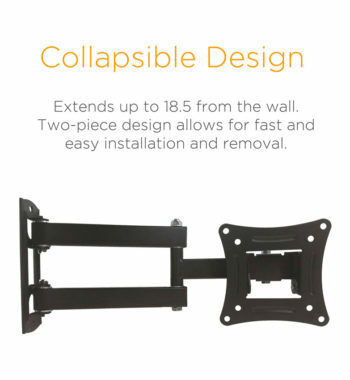 Made from cold-rolled steel, this wall mount is both secure and durable, ensuring that your TV will safely be held in place for years to come. 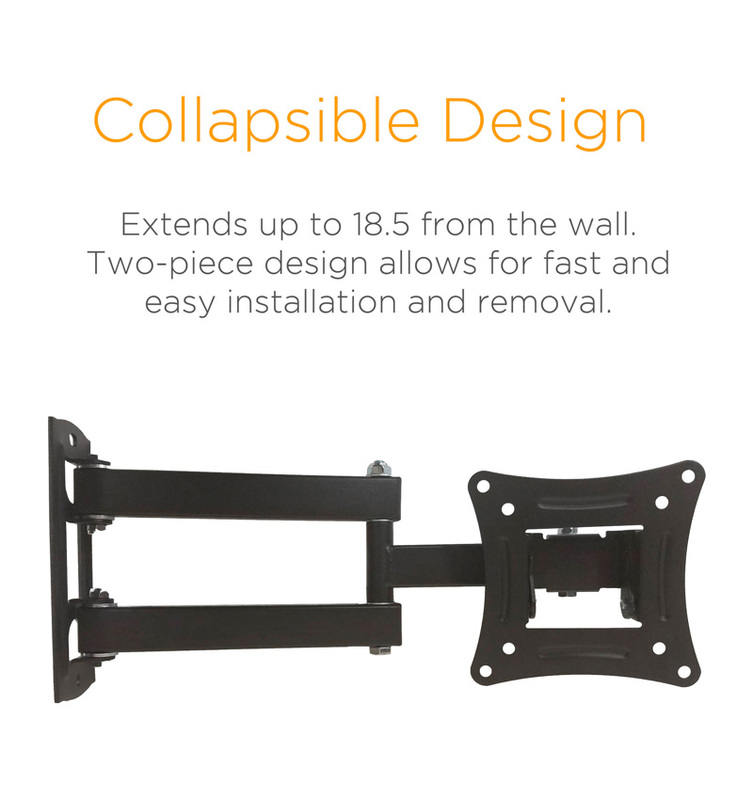 Its collapsible design allows it to extend up to 18.5” from the wall. The wall mount is completely adjustable, allowing you to tilt your TV up to 10 degrees in either direction and swivel up to 90 degrees. Make your room revolve around you and enjoy optimal viewing with reduced glare. 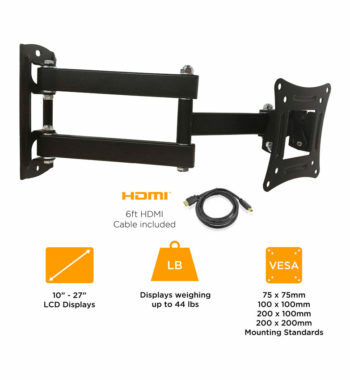 This wall mount kit also comes with a 6-foot HDMI cable included. 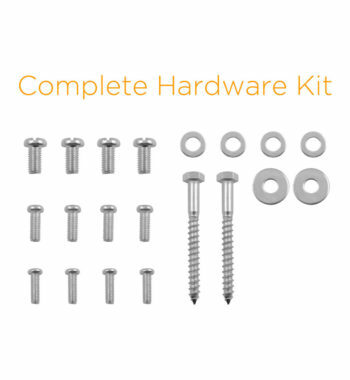 This cable is made with a pliable yet durable protective sheathing that will stave off wear from excessive use and bolster your entertainment experience without breaking down. All mounting hardware is included and it features a built-in level for easy installation. 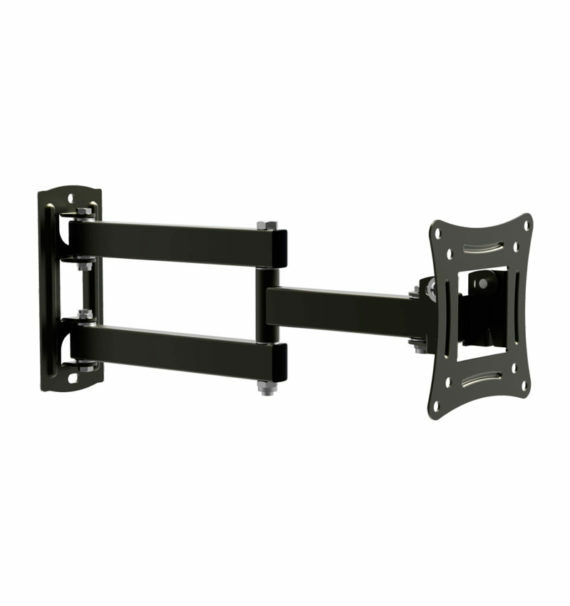 Designed for LCD monitors and displays up to 27″ and 44 lbs. Enjoy your flat screen TV in your living room, family room, den, or bedroom.